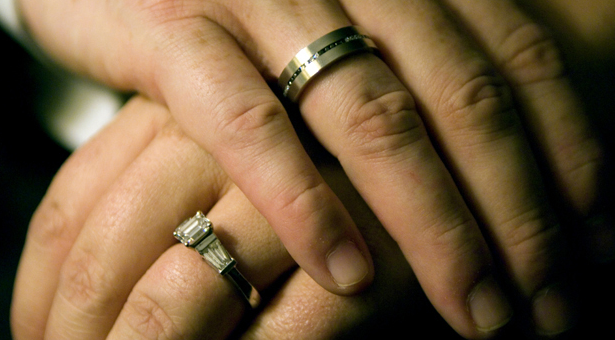 At this point in time, it is getting harder and harder for a man to surprise the love of his life with an engagement ring and the words, “Will you marry me?” Countless men have gotten on bended knee on the beach, at a football game, cruise ship, and the spot where they met their partner, so there’s nothing really new or unique about it. If you’re nodding your head right now, unable to come up with a plan to surprise her with a proposal, we’ve got the perfect idea: get engaged with the dolphins at Dolphin World in the Florida Keys. Not only will you be in a lovely and natural outside setting, you’ll have the support of your new dolphin pals, dolphins being the symbol of love and peace. 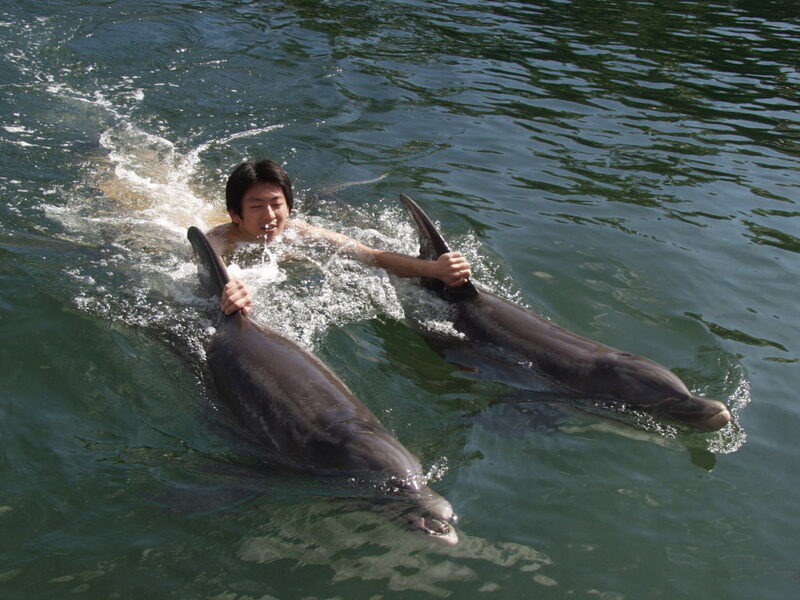 Dolphin World’s swim programs offer something for everyone. 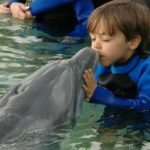 Whether you want a docile interaction in shallow water or the thrill of getting in deep water and going for a dorsal fin ride, Dolphin World has it all. If you want to put your significant other in an awesome mood (upping the chances of getting that “yes” for an answer), swimming and playing with dolphins in the Florida Keys will do the trick. These creatures are highly-intelligent, playful and love making people happy. All engagements are memorable, but an engagement with your new dolphin pals at Dolphin World will be simply unforgettable. 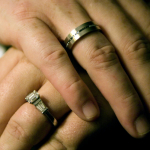 If you’re coming to the Florida Keys to propose, you’ve got to stay someplace that is romantic. Here are our three top resort picks that are perfect for couples looking for some special time away. 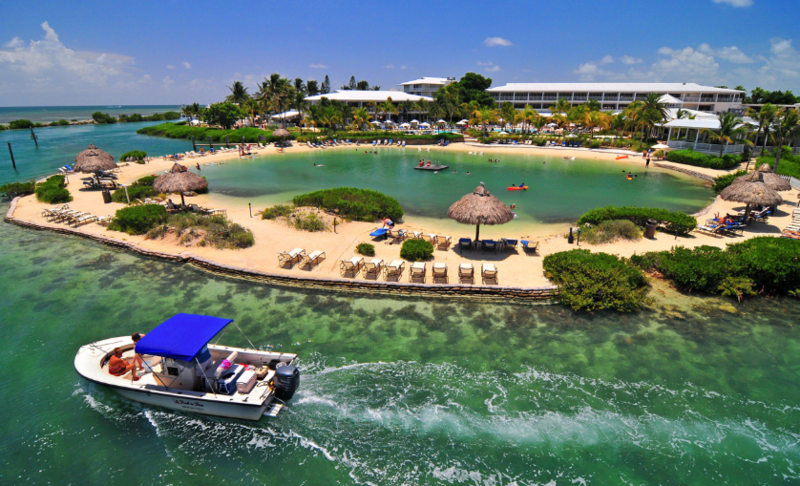 Pelican Cove Resort is like paradise on Earth, making it the perfect destination for some romantic R&R. The relaxed vibe immediately welcomes you and, as you pass the saltwater lagoon, pool, and cabana bar on the way to your luxurious room, you’ll feel like you never want to leave. The resort offers myriad activities, both on the property and throughout the nearby areas. 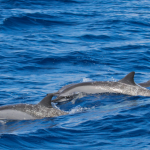 After your dolphin encounter, you and your new fiancé may want to charter a fishing boat or go snorkeling. Then again, the two of you may want to do little else but relax on the white sand beach, sipping cocktails and staring at the azure water in front of you while palm trees sway above you. relaxation in a private, beautiful setting. And when we say beautiful, we’re not kidding. Raymond Jungles, a renowned landscape architect from Miami, has deigned award-winning garden spaces throughout the property. Plus, the staff is genuinely warm and friendly and works hard to make your stay as special as possible. Guests have referred to Ocean House has a “tropical heaven” and “lush.” These words aptly describe the accommodations awaiting you at Ocean House. Suites are spacious and each has a lovely, private terrace. Guests may also spend some downtime relaxing by the saltwater pool. This hotel is calm and quiet, just what couples are looking for on their romantic getaway. You and your fiancé may opt for a couples’ massage or a catered dinner right on the beach under a sky full of stars. However you choose to spend your time, it is sure to be special. 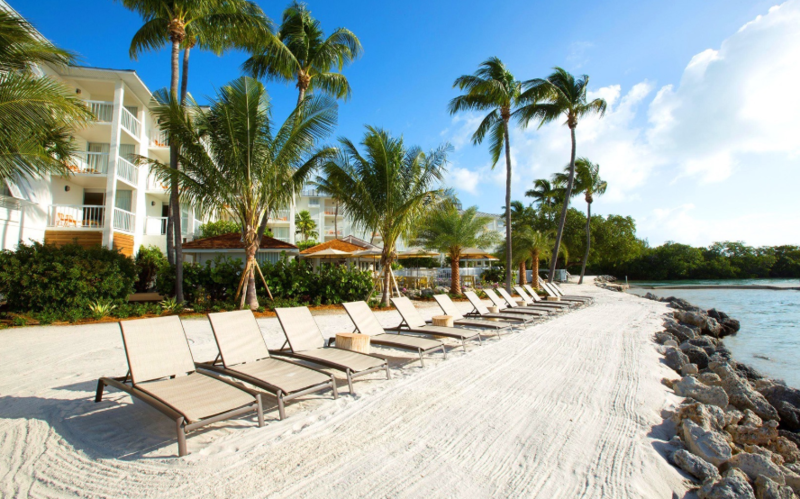 Islamorada is easy to get to once you land in Florida. If you fly into Miami’s International airport, you can opt to rent a car or climb aboard one of the many shuttle buses and be in Islamorada in roughly an hour and a half. Should you fly into Ft. Lauderdale-Hollywood International Airport, you’re looking at an additional hour drive time. Should you want to get to your final destination as quickly as possible, you may fly into the Florida Keys Marathon Airport, which is only a 45-minute drive from Islamorada. Rental cars and shuttle services may be found here as well. 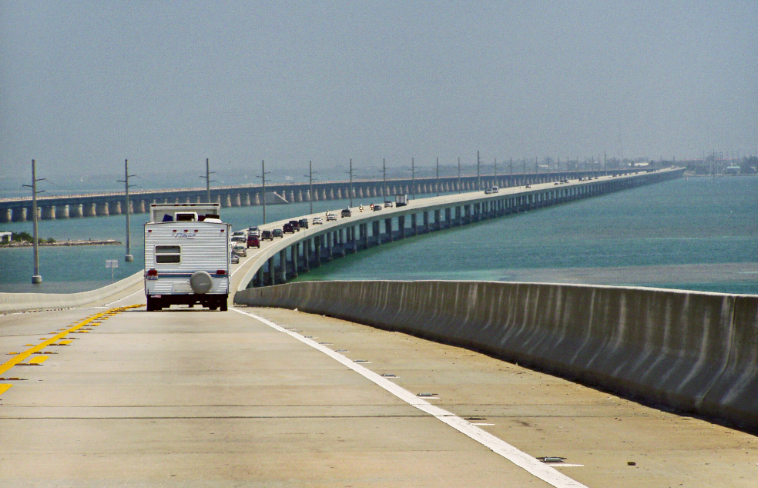 The famous American bus service makes scheduled stops along the route between Miami International Airport and the Florida Keys. 1-(800) 231-2222 or (305) 296-9072. 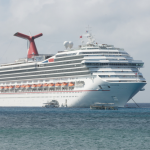 The company provides door-to-door service between the Keys and the Miami and Ft. Lauderdale-Hollywood International Airports. (305) 289-9997 or 1 (888) 765-9997. This luxury motorcoach service offers door-to-door shuttle service along the route between Miami International and Fort Lauderdale-Hollywood International Airports and the Florida Keys. Phone: (877) 246-4786. Though interacting with dolphins and getting engaged at the same time will be hard to beat, there are numerous activities to enjoy while staying in the Florida Keys. Here are three of our top favorites. Nothing says a Key’s vacation like catching a tropical breeze and sailing around the islands on your own Hobie Cat. Or maybe you and your fiancé would like to parasail over the stunning Florida Bay? Or heck, you might want to fish off of a 37’ catamaran, catching “the big one” that will give you bragging rights back home. 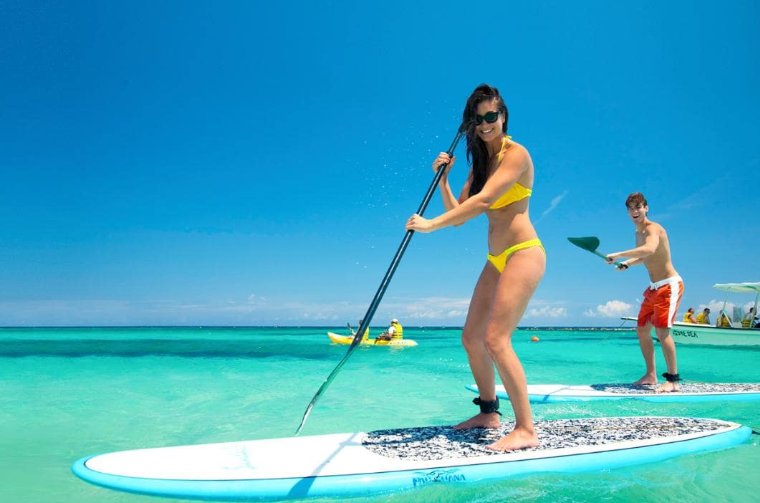 Whatever watersports you want to try, Caribbean Watersports can make it happen. Snorkeling is one of the best ways to really immerse yourself in the beauty of the Florida Keys. Snorkeling is safe and fun and you will be amazed at the wondrous fish and coral you’ll spot on this two-and-a half hour underwater tour. Never been snorkeling? No problem, Sundiver’s friendly crew is qualified to take even first-time snorkelers. Often visitors to the Florida Keys spend so much time looking down at the water, they forget to look up every once in a while. The Keys is home to many wonderful bird species, many of them colorful and showy in their flying and dancing displays. close to some of the most amazing birds in existence. Chance are your engagement will be so magical, you two will want to come back to the Florida Keys to spend your honeymoon.